Gov. David Ige and the HDOT Harbors Division have begun construction on the Kapālama Container Terminal project — the largest capital improvement project in the history of Hawai‘i’s commercial harbor system. 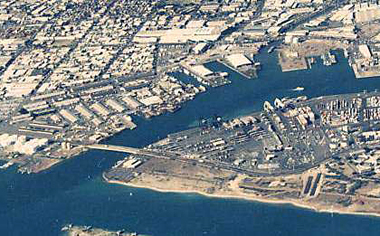 The Kapālama Container Terminal (KCT) is the centerpiece of the Harbor Modernization Plan and is necessary to maintain the vital, just-in-time shipping logistics necessary to sustain our island state. Our Storm Water Management Plan aims to mitigate degraded stormwater runoff quality that may be caused by industrial activities at our state harbors. Click here to find out how. 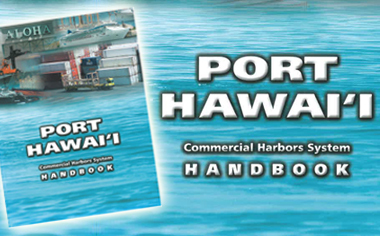 Get detailed information about Hawaii's commercial harbor system with our Port Hawaii Handbook. Our ports cover ten commercial harbors on six islands and are the primary gateways for goods into the Aloha State.